All traser H3 watches are warranted against defects in materials and manufacture for a period of 2 years from the date of purchase. The mb-microtec trigalight ® illumination system is guaranteed for 10 years. 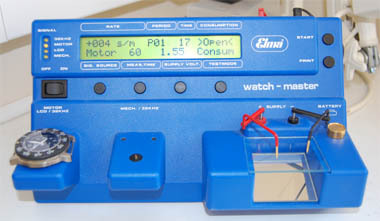 In the event of failure within this period, the watch will be repaired or replaced with an equivalent model by Traser®. Straps, bracelets, glass and batteries are not covered by this warranty. Defects or damage caused by misuse or servicing carried out by non-approved persons will also void the warranty. Every traser H3 watch has a unique serial number laser engraved onto the case back so we are easily able to identify legitimate sales from overseas grey market imports. As we are the sole UK distributor, we purchase directly from the Swiss manufacturers to guarantee factory fresh stock. If you believe your watch has a fault covered by the warranty, we suggest that you contact our qualified watchmakers on +44 (0)1425 672082 or graham@h3-watches.co.uk prior to returning it, so that we can give you the correct advise regarding your claim.